Additionally, The Best Science Fiction and Fantasy of the Year: Volume Twelve edited by Jonathan Strahan (Solaris) is a finalist in the Best Book (Anthology) category; Star Wars: From A Certain Point Of View and The Griffin’s Feather by Cornelia Funke (Chicken House) are finalists in the Best Audiobook category; and Ellen Oh is a finalist for the DBW Medal for Leadership in Diversity. Finalists were chosen by an international panel of judges. 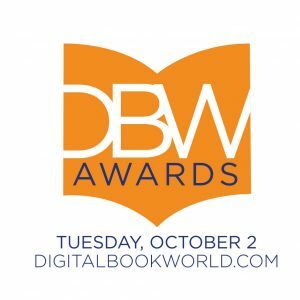 “A select number of awards” will be announced at a reception on October 2, 2018 during Digital Book World at the Music City Center in Nashville TN, with the rest announced that evening on the Digital Book World website. For more information, including a complete list of finalists, see the awards site.